Namkeen in instant pot. No burning. Crisp savory snack ready in minutes. Spices: whole red chili, turmeric, amchoor powder, salt, chaat powder, sugar, red chili powder, pinch of citric acid, curry leaves. Vegetable oil. I used grape seed oil. Heat oil in sauté mode. Remember the quantity of oil is little more than needed. You want the oil to coat the ingredients nicely. Add red whole pepper and curry leaves. 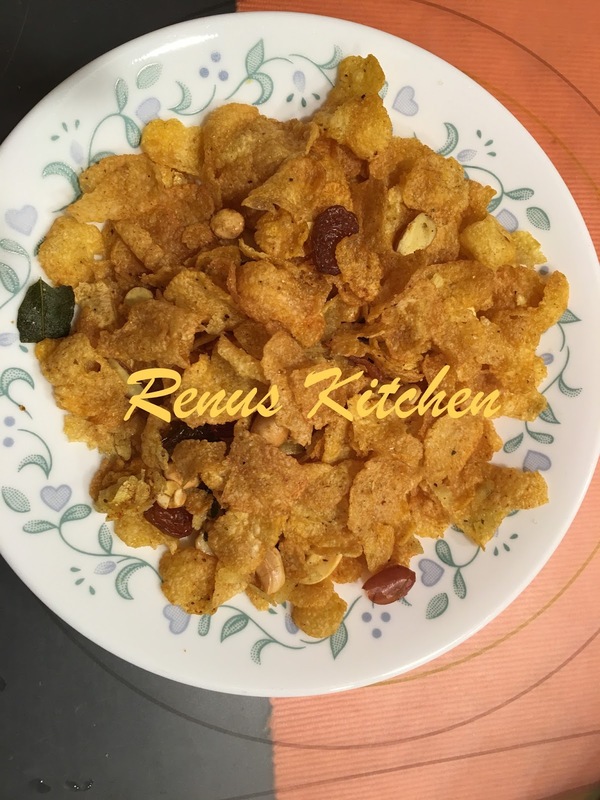 Once they are crisp add peanuts followed by almonds, cashews, Daliya, raisins, coconut. Fry till nuts are cooked and raisins swell up. Keep adjusting the sauté mode from medium to low heat. Next add all the spices followed by flat beaten rice and corn flakes. Mix gently to mix. Adjust spices to taste. Cool and store in air tight container.